Germany aren't used to being losers. Can Joachim Low turn them around before it's too late? 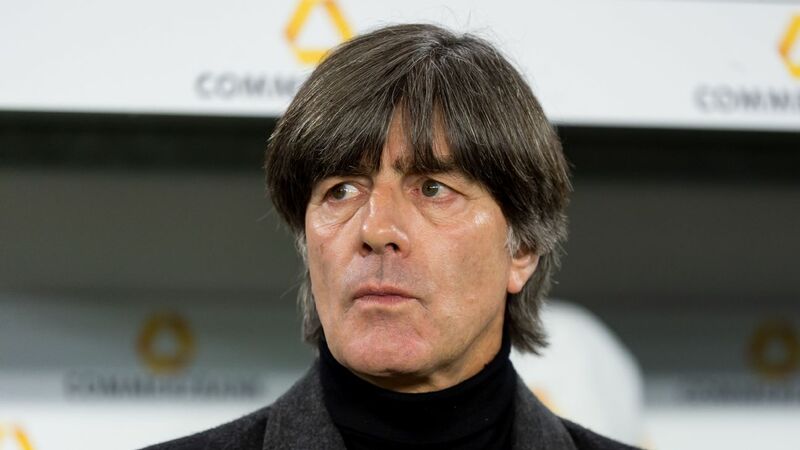 Joachim Low, center, is running out of time to turn the tide of opinions back in his favor. The Netherlands host Germany in the stand-out tie of this week's Euro 2020 qualifiers on Sunday (3:45 p.m. ET, ESPN+) and for the visitors' manager, Joachim Low, there is so much more than the three points at stake in Amsterdam. The 59-year-old has to pull off no less than the most difficult -- some say impossible -- balancing act in international football right now: Low needs to convince an increasingly doubtful public back home that meaningful change and successful reinvention is possible and that he, the man in charge since 2006, can do it. One shouldn't bet against the embattled Bundestrainer's restorative powers too hastily. Low confounded many doubters when he took over from Jurgen Klinsmann to make the Nationalmannschaft tactically more versatile and once more when he overcame the huge disappointment of Euro 2012's semifinal exit against Italy to triumph in Brazil two years later. But the sporting catastrophe in Russia, followed by relegation in the Nations League and his controversial decision to axe the three World Cup-winning mainstays Thomas Muller, Jerome Boateng and Mats Hummels (all from Bayern) in a quick visit to Munich have left him on shakier ground than ever before. The impact of that choice naturally still resonates. Suddeutsche Zeitung accused him of showing "the sensitivity of a porcupine." Muller declared himself "angry" in a heartfelt video message, and Bayern bosses Karl-Heinz Rummenigge and Uli Hoeness also voiced their displeasure about the manner and apparent finality of the trio's exit. A well-sourced story by Frankfurter Allgemeine Zeitung alleged that German FA president Reinhard Grindel was distancing himself from Low as well. Grindel later denied that he'd criticised the national manager but Low made a point of emphasising that he saw no need to discuss the subject with his boss beforehand -- "I make the sporting decisions" -- and also implied that the FA could not have been trusted to keep the story under wraps if he had told them beforehand. Low might not feel like he's taking a gamble in speeding up the transformation but there's no doubt that a poor showing in the Dutch capital would put his judgment into serious question, especially if Germany were to crumble at the back. Matthias Ginter (Borussia Monchengladbach), Antonio Rudiger (Chelsea) and Thilo Kehrer (Paris Saint-Germain), the men most likely to partner Niklas Sule in Germany's revamped defence, are not quite at the level of Hummels and Boateng just yet, even if the veteran duo has seen better days. Wednesday's 1-1 friendly draw with Serbia failed to offer firm clues as to whether Low's reboot will work out. The 26,000 crowd, who had been promised "a Germany with a new face" by the manager before the match, saw plenty of the old failings instead. A young starting XI with Leverkusen's Jonathan Tah and the two RB Leipzig fullbacks, Lukas Klostermann and Marcel Halstenberg, in defence conceded a silly goal to Luka Jovic from a corner and played a slow, blunt game reminiscent of the worst moments in Russia. The Volkswagen-Arena greeted the non-spectacle with deathly silence before booing the team off the pitch at half-time. "We lacked dynamism and were unsettled [by going 1-0 down]," said general manager Oliver Bierhoff. 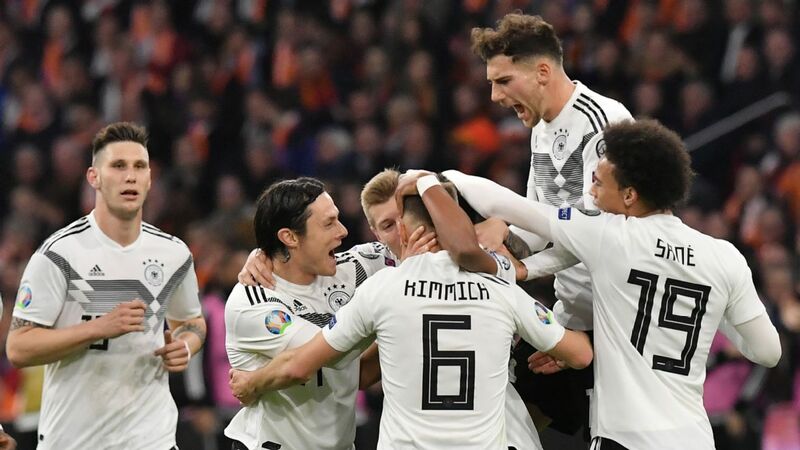 Things did improve when Dortmund's Marco Reus and goal scorer Leon Goretzka of Bayern offered more thrust after the restart, but Germany missed a number of chances and came away with a draw that left everybody none the wiser. 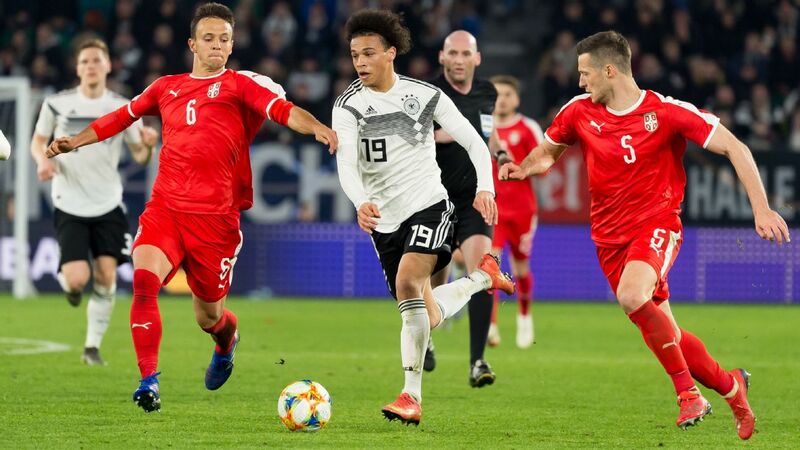 Sane, in white, was impressive vs. Serbia but alleged racial abuse by Germany fans cast a further pall over the national team. Furthermore, the alleged racial and xenophobic abuse of Manchester City duo Leroy Sane and Ilkay Gündogan by three Germany supporters, "condemned in strongest terms" by the German FA, contributed to the uncomfortable feeling that some of the well-publicised off-the-pitch troubles of last summer will continue to rear their extremely ugly head. 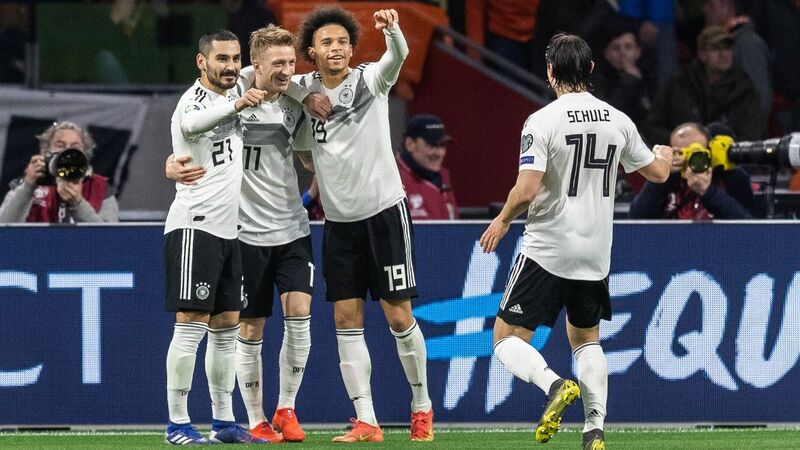 Bigots have apparently used the team's poor run -- Germany are without a competitive win since the last-minute 2-1 victory over Sweden in Sochi -- as useful cover for spouting hate, just as they had done before and after the World Cup, when they targeted Mesut Ozil. German football must not close its eyes to the gravity of the problem for a second time. The team, meanwhile, would do well to regain the affection of the right-minded (but sadly silent) majority of their supporters with a competent performance that blends stability at the back with guile and pace up front. Joshua Kimmich, however, didn't seem entirely sure whether his team are quite there yet. 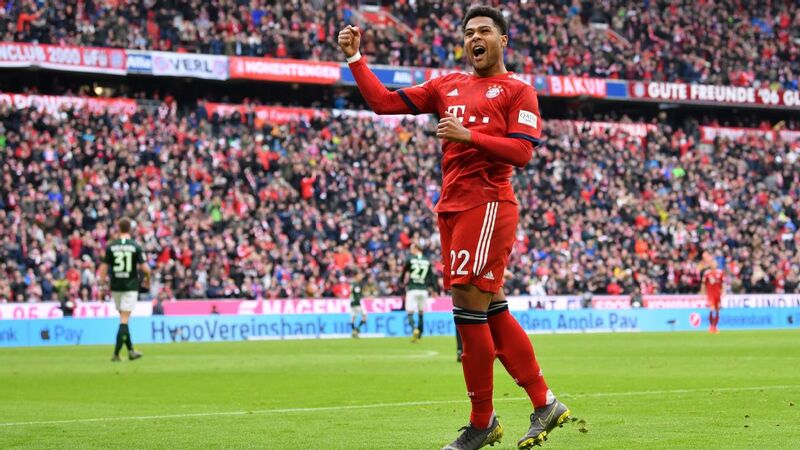 "I understand why people are slowly becoming restless -- they want to see us win," said the Bayern player on Wednesday, pleading for a bit more time. "We are in transition. They should give us a game or two more [to get it right]." Perhaps they should. But Low, in particular, cannot be certain that they will.